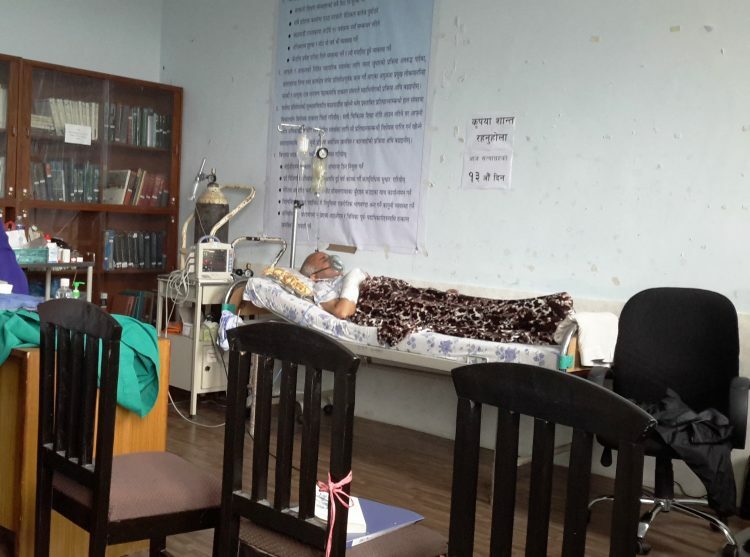 South Asia Check has compiled the demands put forth by medical reforms crusader Dr Govinda KC during his fifteen hunger strikes over the past six years and agreements reached with various governments. Listed below are details from 9th to 15th hunger strikes. For details about the earlier eight hunger strikes click here. Dr KC called off the hunger strike in view of the Dashain festival. 1. Pass the medical education bill by the ongoing session of parliament. 2. Initiate the process to impeach CIAA chief Lokman Singh Karki and CIAA commissioner Raj Narayan Singh. 3. Implement the fee structure recommended by the Mathema taskforce and dissolve the commission formed to adjust the fee structure. 4. Appoint dean at the TU’s Institute of Medicine (IOM) on the basis of seniority, withdraw the bill on medical education from parliament, launch investigation against corrupt IOM officials and take action, bring reforms to the medical education sector. 10th Hunger Strike November 13, 2016- December 4, 2016 1. Appoint dean at IOM on the basis of seniority. Dismiss TU Vice Chancellor Tirtha Raj Khaniya from the post for his involvement in irregularities in appointment of officials. 2. Just like last year, instruct the universities to fix the MBBS fee at Rs 3.5 million for the Kathmandu Valley and Rs 3.8 million outside the Valley, and Bachelor of Dental Surgery (BDS) fee at Rs 2 million. 3. Give full autonomy to the IOM. Until that happens, give maximum autonomy in the economic, administrative and educational sectors in line with the past agreement. 4. No affiliation to new medical colleges until a medical education act is in place. 6. Conclude the process to impeach CIAA chief Lokman Singh Karki and make him accountable. Immediately initiate investigation against CIAA commissioner Rajnarayan Pathak for his involvement in irregularities in the medical education sector. 7. Immediate action should be taken against IOM’s officials found guilty by the committee led by Jayaram Giri. A judicial commission be formed again to investigate into the irregularities in the medical education sector including the irregularities in the examinations at various universities and wrongdoings of the office bearers of the BP Koirala Institute of Health Sciences. 8. Immediately implement the past agreement which states that legal arrangements would be made to ensure that the search committee to be formed for appointing office bearers at the universities is led by independent experts and not by the education minister. 9. Immediately implement the previous agreement to establishing at least one government medical college each in all provinces. 2. With regard to the demand for changes to the law in order to make appointments at universities and academies through their senates to ensure academic integrity, a high-level committee headed by the chairman of the University Grants Commission will be formed within 15 days. The committee will prepare a draft to address the demand and present it to the vice-chancellor of the university within three months. 3. According to the decision taken by cabinet on September 17, 2015, in 2016/2017 the fees for MBBS would be Rs 3.85 million inside the Kathmandu Valley and Rs 4.2 million outside the Kathmandu Valley, and the fee for BDS would be 1.932 million. Except otherwise decided by a yet to be formed Medical Education Commission, the abovementioned fees will be valid for the academic year 2017/2018 also. From academic year 2017/2018 onward, the students who enrol for the bachelor’s or higher degree courses in medical education as per the central merit list, will pay the first instalment of their fee directly in the bank account of the university or the academy concerned. 4. In line with the agreement signed between the government and the IOM on February 15, 2014, the pro-chancellor of the Tribhuvan University to re-instruct the university to implement the agreement. 5. Until the passage of the Medical Education Bill-2073, new letter of intent will not be issued and the existing letters of permit will not be renewed, affiliation will not be granted to new medical colleges and medical colleges will not be allowed to expand their programs. After the passage of the bill into law, these issues will be dealt with as per the law. 6. Since the National Medical Education Bill-2073 has already been presented in parliament, necessary amendments will be made by the parliament itself. While scholarships are being provided to students from poor financial backgrounds from remote areas and from government schools under the Scholarships Act 2021, additional measures will be taken to ensure that such students get the scholarships. For now, arrangements will be made to allocate 50 percent seats at public educational institutions under free scholarship, and this will be gradually increased to 100 percent. 7. The issue of impeachment [of CIAA chief] lies under the jurisdiction of parliament. 8. The actions recommended by the panel led by former education secretary Jayaram Giri after investigation into irregularities at the IOM fall under the jurisdiction of the CIAA and the government had already written to the CIAA for action. The government will again write to the CIAA for action. 9. To investigate into the granting of affiliations to new medical colleges and permissions for new and expanded programs, examinations and fees among other things by the office bearers of the Tribhuvan University, Kathmandu University and the Nepal Medical Council, and the controversies related to fees and examination at the BPKIHS, a high-level judicial committee involving two experts will be formed within 15 days and the committee will submit its report to the government in three months. 10. According to the policy of one province one government-run medical college, the following is the current status of the medical colleges. To increase the capacity of these institutions and to run new programs, a clear action plan will be prepared and implemented. Educational institution: BP Koirala Institute of Health Sciences. Status: Preliminary working committee formed to conduct feasibility study, identify land and other infrastructures needed for the hospital, and present report to the Ministry of Education. Educational Institutions: Patan Academy of Health Sciences, Lalitpur; National Academy of Medical Sciences (Bir Hospital), Kathmandu; Tribhuvan University Teaching Hospital, Maharajgunj, Kathmandu. Educational Institution: Pokhara Academy of Health Sciences, Pokhara, Kaski. Dr KC called off hunger strike due to natural disaster in the country. 1. Passage of Medical Education Act immediately in line with the Mathema taskforce report and our suggestions. · Appoint assistant dean and campus chief immediately as per the recommendation of IOM dean. · Grant more autonomy to IOM as per previous agreement and transfer the authority from TU executive council to IOM to fix the number of seats of medical colleges, fix fees and grant affiliations. · Scrap the permission of medical colleges that defy the government’s directive and court order. · Until the formation of Medical Education Commission, the fees of medical education at all levels should be fixed by the government instead of the university. · Just like at Kathmandu University the fee for MD, MS and MDS should be fixed at Rs 2.2 million at all private colleges from this academic calendar. · Immediately dismiss the TU officials responsible for bringing chaos to the IOM by not filling vacant positions, snatching away the authority of IOM, and fixing high fees in unjustified manner. 12th hunger strike September 25-27, 2017), due to Dashain holidays hunger strike was called off on the third day and resumed from October 5, 2017 1. Passage of Medical Education Act immediately in line with the Mathema taskforce report and our suggestions. 2. Immediately scrap Kathmandu University’s decision to charge fees millions of rupees more than government-set structure and implement the government-set fee of Rs 3.85 million for MBBS inside the Kathmandu Valley and Rs 42.45 million outside the Valley and Rs 19.32 million for BDS. Immediately sack KU’s dean Rajendra Koju and vice chancellor Ram Kantha Makaju for colluding with the mafia and committing financial irregularities. Fix Rs 22.5 million as the fee for MD/MS courses at private medical colleges under Tribhuvan University. Sack TU officials involved in fixing high fees for medical education and granting permissions to colleges lacking minimum requirements and start action against them. Restore the authorities of the IOM that were snatched away by the TU. 3. Initiate investigation against Gopal Khadka, the sacked chief of Nepal Oil Corporation, and recover the billions of rupees embezzled by him. Sack all other officials who colluded with Khadka and engaged in corruption and take action against them. And sack all the officials of various public entities who were proven to have committed corruption but have not faced action, and initiate action against them. 4. Allocate funds and make other arrangements for immediately starting teaching and learning activities at Karnali Academy of Health Sciences. Expedite work to set up government-funded medical colleges in Kailali, Dang, Doti-Dadeldhura, Dhanusha-Mahottari, Udayapur, and Panchthar-Ilam among other places. 13th hunger strike October 5-18, 2017 1. Passage of Medical Education Act immediately in line with the Mathema taskforce report and our suggestions. 2. Immediately scrap Kathmandu University’s decision to charge fee millions of rupees more than government-set structure and implement the government-set fee of Rs 3.85 million for MBBS inside the Kathmandu Valley and Rs 42.45 million outside the Valley and Rs 19.32 million for BDS. Immediately sack KU’s dean Rajendra Koju and vice chancellor Ram Kantha Makaju for colluding with the mafia and committing financial irregularities. Fix Rs 22.5 million as the fee for MD/MS courses at private medical colleges under Tribhuvan University. Sack TU officials involved in fixing high fees for medical education and granting permissions to colleges lacking minimum requirements and start action against them. Restore the authorities of the IOM that were snatched away by the TU. 1. Immediately stop the current pro-mafia Medical Education Bill, revise it in line with the recommendations of the Mathama taskforce report and our suggestions and pass it. 2. Immediate scrapping of the proposed amendments to the Medical Education Act which will bring extreme politicization to the medical education sector and covert the sector as recruitment ground for inept political cadres. The decision made out of vested interest by the education minister to grant CTEVT affiliations to dozens of colleges in the middle of the academic session be scrapped. 3. Ensure affordable and accessible health service for middle and lower classes. Ensure reasonable, free of cost or affordable and quality education for all medical students. 4. Immediately revoke the KU decision to charge fees 10 times higher than prescribed by the government and implement the government-set fee structure. Launch investigation immediately against the KU office bearers involved in making such decision. Set fee for post graduate medical studies at TU-affiliated private colleges at Rs 2.25 million. Dismiss officials involved in fee hike and issuing MBBS permits to colleges without required infrastructures. 5. Allocate funds immediately for starting classes at the Karnali Academy of Health Sciences, and proceed with the work to set up government medical colleges in Kailali, Dang, Doti-Dadeldhura, Dhanusha-Mahottari, Udayapur and Panchthar-Ilam among other places. 6. Start investigation against the sacked chief of the Nepal Oil Corporation and immediately sack and investigate officials of various organizations who colluded with him and also take action against the politicians involved. 7. Fulfill the demands related to the rights, welfare, perks and benefits of doctors. 1. The cabinet meeting to be held on Oct 23, 2017 will recommend issuance of National Medical Education Ordinance, which will include various amendments proposed by Deputy Prime Minister and Education Minister Gopal Man Shrestha in line with the recommendations of the ‘National Medical Education Policy Formulation High Level Task Force Report 2072’ and the demands of the hunger strikes. 2. The provision about affordable healthcare to the middle and lower class Nepalis and making available quality or free of cost medical education for all students have been included in the National Medical Education Bill. The related provision will be included in the regulations and guidelines concerned. A. The cabinet meeting of September 17, 2015 has fixed the MBBS fee at Rs 3.45 million for Kathmandu Valley and Rs 4.2 million for outside the Valley and BDS fee at Rs 1.932 for the academic year 2017/18. The Ministry of Education will publish a public notice in this regard and write to the concerned university to implement the fee structure. B. The decisions of the officer bearers TU, KU and Nepal Medical Council with regard to issuing affiliation to medical and dental colleges and permissions for expanded and new programs, examinations, fixing of fees and seats among other things, and the controversies related to examination and student admissions at the BPKIHS are already being investigated by a government-formed probe commission headed by former chief judge of Special Court, Gauri Bahadur Karki.Now the government will write to the commission to also investigate into the allegations that Kathmandu University has been charging MBBS and BDS students fees higher than what have been fixed by the government. C. According to the cabinet decision of September 17, 2015, all private medical colleges will charge Rs 2.3 million as fee for postgraduate medical studies as currently being charged by the Kathmandu University. The medical college concerned will also need to provide the postgraduate students appropriate amount as sustenance allowance. D. Government will write to the commission led by former chief judge Karki to investigate into the controversy related to the Kathmandu National Medical College and take action as per the recommendation of the commission. E. With regard to the demand for granting more autonomy to the IOM, the government in line with the TU Act will, on Oct 23, 2017, instruct the TU vice-chancellor to present a proposal to this effect by incorporating the autonomy proposal mentioned in the IOM letter dated Sept 5, 2017, at TU’s upcoming senate meeting. 4. A. Ministry of Health will do the needful including providing funds for starting teaching learning process at the Karnali Academy of Health Sciences. B. According to the policy of one medical college per province, BPKIHS is in operation in Dharan of Province 1; the process for establishing a medical college in Bardibas of Mahottari in Province 2 is under way. The college will be developed as TU’s affiliate college and a proposal to this effect has already been endorsed by the TU senate; in Province 3, Patan Academy of Health Sciences in Lalitpur, National Academy of Health Sciences and TU Teaching Hospital are in operation; in Province 4 [Gandaki Province], the Pokhara Academy of Health Sciences Act has been endorsed and the medical college is in the process of construction; in Province 5, a medical college which will be developed as TU’s affiliate college is in the process of construction and another medical college is in the process of construction following the passage of Rapti Academy of Health Sciences in Dang; in Province 6 [Karnali Province], Karnali Academy of Health Sciences is under operation, and in Surkhet, a medical college to be developed as an affiliate college of the Mid-Western University is under way with due approval by the Mid-Western University; in Province 7, the construction of Geta Medical College, Kailali Teaching Hospital and other buildings is under way through a formation order. Construction up to the plinth level is already complete. The aforementioned construction works will be expedited to ensure that the colleges and hospitals will start operation. Likewise, work to establish government-run medical colleges in Ilam, Udayapur and Dadeldhura will be started from the next fiscal year. 5. Regarding demand for investigation and action against officials involved in the land purchase scam at the Nepal Oil Corporation, the government will cooperate in the investigations conducted by competent investigative authorities. 6. The government will take necessary initiatives immediately to fulfill the demands related to the rights, welfare, perks and benefits of doctors as per the understanding reached between the government and Nepal Medical Association. 7. Effect policy changes to ensure that the CTEVT grants permissions to technical schools only after considering the geography, population and necessity and ensuring that the schools have met all infrastructural requirements. 8. Add one member to the high-level monitoring committee that is mandated to monitor the status of implementation of the past and present agreements. 9. This agreement will be approved by the cabinet meeting to be held on October 23, 2017 and the government will own the agreement. 14th Hunger Strike January 8 – 13 January2018 1. Chief Justice Gopal Parajuli should resign immediately. Thereafter, corruption investigation be started against him. 2. Form Medical Education Commission immediately. 3. IOM dean should be appointed on the basis of seniority. The reinstatement of the dean be scrapped. 4. Sack TU officials involved in issuing affiliation to medical colleges lacking the infrastructural requirements, those involved in snatching IOM’s rights and misusing the rights and those appointed on the quota of political parties. 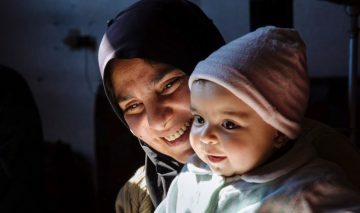 – Since, TUTH is a government institution, the government should make arrangement to bear all the expenses related to hospital operation and educational expenses. Make 50 percent of the TUTH beds free-of-cost from the existing 10 percent. Make health services affordable and accessible to the common people, and provide free healthcare to all TUTH students, doctors and staffers just like in the past. – Arrange new residence and hostel for the nurses and students, construct new college buildings including a new auditorium and exam hall. Make arrangement to open the library 24/7. – Expand and properly manage the pharmacy at the hospital and ensure that all patients get quality medicines at cheaper rates. – Increase the capacity of the emergency department to accommodate more patients, take action against middlemen who take patients to private hospitals in return for commissions from the hospitals and the hospitals using such middlemen. Increase the capacity and number of ICUs, NICUs, and operation theaters to serve more patients and reduce the queue for surgery. Also, in line with the constitution, ensure free emergency services to all. -Make arrangements to ensure that doctors, nurses and staffers are promoted periodically on the basis of their eligibility and seniority. Stop unlawful appointments, promotions and granting of permanent status to those close to politicians and scrap such appointments, promotions and permanent status. -Provide surgery among other services under the EHS [extended hospital service] system, which is being provided by charging extra. – Build more toilets, manage equipment to maintain cleanliness at hospital and ensure that the operation of incinerator does not affect the patients. 1. To give full shape to the Medical Education Commission, which has been formed in line with Clause 5 of the Medical Education Ordinance, a recommendation committee will be formed as per the Ordinance’s Clause 23 within seven days from today [January 12, 2018, the day of agreement between the government and Dr KC’s team]. 2. Based on the decision of the Supreme Court, the Tribhuvan University’s vice-chancellor will direct the authority concerned to continue Dr. Jagdish Prasad Agrawal as the dean of the Institute of Medicine (IOM). 3. Tribhuvan University’s vice-chancellor will take necessary steps as soon as possible to implement the previous agreements on restoring the IOM’s rights that were snatched away. TU senate will be summoned immediately in order to amend the TU regulations to restore IOM’s rights. 4. The government and the Ministry of Health will arrange necessary funds for improvement in the physical infrastructure of the TUTH, manpower management, and for expansion of hospital services. 15th Hunger Strike June 30, 2018- July 26, 2018 1. Immediately present the bill to replace the Medical Education Ordinance and pass it without any change except for the provision on service period after postgraduation. Thereafter, give full shape to the Medical Education Commission by appointing executive vice-president among others and conduct entrance examination and other activities. 2. Ensure necessary infrastructure and manpower at Karnali Academy of Health Sciences for running MBBS and bachelor’s level studies. Expedite the work on Rapti Academy of Health Science and Geta Medical College. Set up government medical colleges in Panchthar-Ilam, Dadeldhura-Doti and Udayapur. 3. Immediately revoke ban on demonstrations at Maitighar Mandala area. 4. Take action against officials found guilty by the Medical Education Probe Commission. Restored the snatched powers of the IOM and grant IOM more autonomy. 5. Implement the report on office bearers’ standards determination committee prepared by the chairman of the University Grants Commission. 6. Scrap the Scholarship Management and Mobilization Procedures 2075 and introduce a provision of two years of compulsory service by doctors completing postgraduate studies through scholarships. Ensure that the postgraduate medical studies at all academic institutions including private ones are provided free of cost from the next fiscal year. 7. Make arrangements to manage the students of the now closed Janaki Medical College and immediately initiate action against those responsible for leaving the students in the lurch. Start work immediately to establish a government medical college in Province 2. 1. For 10 years from the date of enactment of the Medical Education Act, letters of intent will not be issued to the private sector to open medical, dental and nursing colleges with bachelor’s level courses in Kathmandu, Lalitpur and Bhaktapur districts of the Kathmandu Valley. 2. In case of those who have already received the letters of intent for establishing medical college in the Valley and have invested in infrastructure can sell their property to the government. 3. Those who have already received letters of intent for setting up medical colleges in the Kathmandu Valley will be provided incentives if they want to move outside the Kathmandu Valley. 4. Universities or the CTEVT cannot give permissions to colleges to teach courses which the universities or the CTEVT themselves do not teach. 5. A university cannot grant affiliation to more than five medical colleges. 6. Medical colleges should allocate 75 percent of their total seats for free scholarships. 7. Accreditation for certificate-level programs under the CTEVT will be issued by a body provisioned by the directorate or the Medical Education Commission. 8. All technical courses related to medicine below the proficiency certificate level will be stopped. 9. The entrance examination for all certificate level courses related to medicine will be conducted by the CTEVT in coordination with the Medical Education Commission. 10. Public sector educational institutions should allocate at least 75 percent of their total seats for free scholarships and gradually increase free scholarship seats on the recommendation of the commission. 11. Medical colleges must run their own hospitals for at least three years before getting affiliation. 12. All government-run educational institutions will provide postgraduate medical studies free of cost. 13. MBBS graduates will have to serve for one year each in the remote and urban areas. 14. In the provinces that do not have a medical college or academy, the government will start at least one medical college within five years. 15. A taskforce will be formed for starting student admissions at Karnali Academy of Health Sciences. 16. The government side gave briefing on progresses made so far on the Rapti Academy of Health Sciences and Geta Medical College. 17. Initiate action within two months against those found guilty by the Medical Education Probe Commission. 18. A taskforce will be formed within fifteen days to fix the criteria for the appointment of the office bearers at universities and various governments –run academies.
. Note: Swasthyakhabar magazine contributed by providing the lists of Dr KC’s demands.